Being divorced is difficult, and being divorced with kids during the holidays is even more so. But though it may be difficult for you, it doesn’t have to be for your children. Below are tips for making the post-divorce holiday season fun and love-filled for you and your kids. Make the holiday about the children. 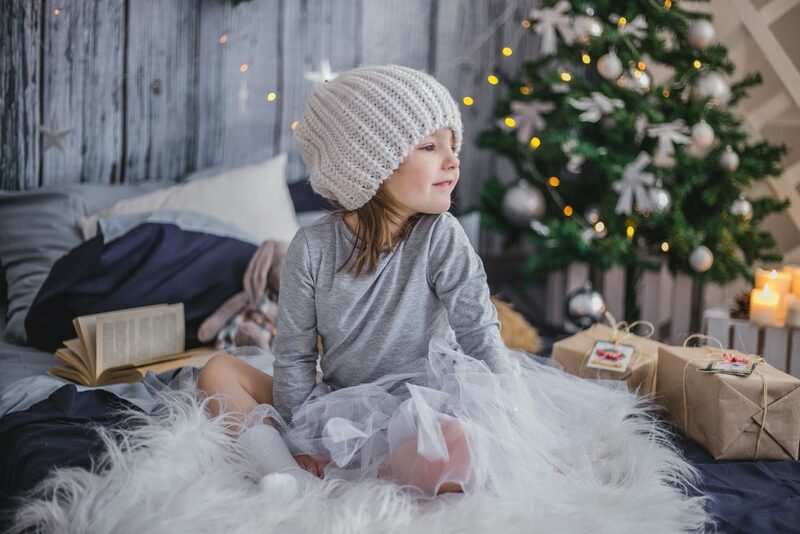 The winter holiday season is magical for children, and they’ll cherish the memories you make for years to come. Embrace the giving spirit of the holidays and set an example of generosity and kindness for your children. Establish a new tradition to fit this new situation. You don’t want to keep everything exactly the same, or your kids might feel like they’re celebrating “Christmas minus mom/dad.” Instead, break from your habits a bit and bring in something new. You could have a special dinner you make as a family or open advent calendars together each night – no matter what you do, make it special for you and your kids. Be flexible with how you celebrate. The holidays won’t be the same after your divorce, but that doesn’t have to be a bad thing. Santa can come more than once, and Christmas can be multiple days. My husband and I wrote The Seven Nights of Santa to explain for families of all shapes how to have Santa come to your house as many as seven nights. And who wouldn’t enjoy getting to open presents twice (or more)? Coordinate your gifts with the other parent. You don’t really want Tommy getting two iPads, or Katie being disappointed that she got something she already received yesterday. And remember not to turn gift-giving into a competition. It doesn’t matter to the kid who buys him the gift because it’s just the gift he’s excited about. Teach your kids about giving back. I mentioned setting an example of generosity and kindness earlier – what better way to do this than to get your kids involved in a charity? Many organizations run charity programs around the holidays. You could volunteer at a soup kitchen, write letters to sick children who can’t be home for the holidays, or have the kids go through their old toys and donate the ones they don’t need anymore. Put the animosity aside for the holidays. Don’t badmouth the other parent around your kids. Don’t say you don’t have enough money to buy presents because your ex isn’t paying you enough. Don’t make the kids leave their gifts at home when they go visit the other parent, or buy them a gift the other parent will hate (such as a kitten if the ex is allergic to cats). As I said earlier, set an example for your children – even though the holidays may make you stressed and upset, don’t push those emotions onto your children. This goes for the rest of the year as well. Don’t advocate for your new significant other during the holiday with the kids. They may be your new spouse or lover, but they are not the children’s other parent, and they never will be. Yes, your kids will hopefully form a strong bond with this new person in their life, but it can’t replace the bond they have with your ex. And that’s ok. It just means they have more people to love, and love is something we should always celebrate. Show your kids how much you love them and make memories that will last a lifetime. Take lots of photos of everyone you celebrate with. Warm your hearts with holiday cheer and warm your tummies with hot cocoa and eggnog. And most importantly, spend time loving your family no matter what shape it takes.